Great place to stay for budget travel. 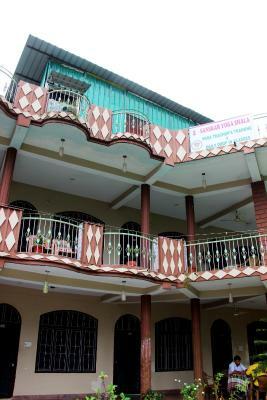 The staff is friendly and attentive and the rooms are clean. Only took part in one dinner meal and it was certainly adequate for the cost. It was great to sit on the shared upper patio in the morning to relax in the sun. Quiet and relaxed place with really nice and helpful staff! The view is stunning, the staff friendly and helpful, the location is quiet and the room and property is clean. The food was also good. The waterfall was right outside my room so it was wonderful going to sleep at night listening to the water. Bed was not comfortable. There were insects in the room. Mosquito repellant was supplied but without without sliding silver paper. No chairs and table was there in the room. In the bathroom there was no mirror. There was no air freshner. Unique Theme - Spiritual Connection, Lovely Surroundings, Great Views, Exquisite Food, Excellent Service with a Smile, so loved it here, wish to return soon next year. Great location. In today fast life you will feels relax. Very cooperative staff. Home made non spicy food. Healthy breakfast. Room are fantastic.infront of every room a beautiful corridor with chairs n table. U can see natural look from here. This is not hotel this like spiritual place. Very tasty tea in milti kae Kulhar. Owner of hotel is decent lady.she arrange all ur tour on reasonable price. Highly recommended. Het balkon met uizicht op de bergen en de natuur geluiden. Zeer vriendelijk personeel. Lange yoga lessen (hier moet je los voor betalen). Lichte kamers. One of our bestsellers in Rishīkesh! 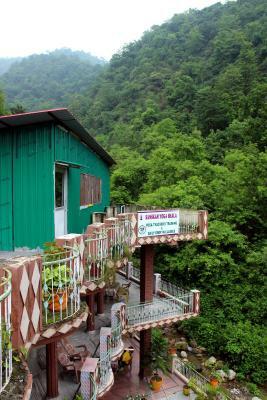 Just a 10-minute walk from Laxman Jhula (the iconic bridge), Rishikesh Sadan provides homely rooms with private balconies and views of the mountain. It has a restaurant, a children’s playground and free Wi-Fi in the entire property. 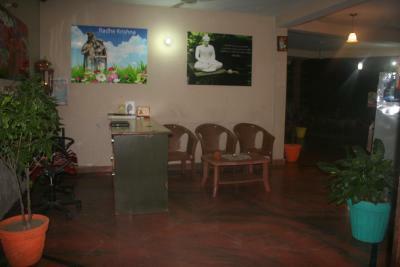 Situated right next to a waterfall, Rishikesh Sadan Hotel is located about 2.2 miles from Rishikesh and Haridwar railway stations. The Jolly Grant Airport is about 21.7 miles from the hotel. All rooms come with a fan and heating facilities. They are fitted with tiled flooring, a seating area and an en suite bathroom. Free toiletries are provided for guests’ convenience. The hotel has a tour desk which helps guests organise excursions to local attractions. Hiking and safaris can be arranged on request. The hotel also provides car rental facilities. Services provided by the hotel include laundry and room service. 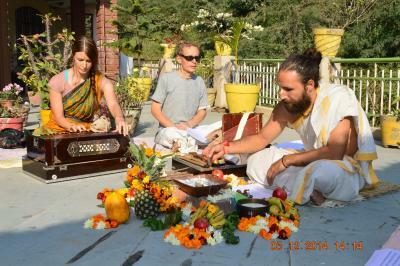 Rishikesh Sadan A Yoga & Spritual Retreat has been welcoming Booking.com guests since 7 Jun 2012. 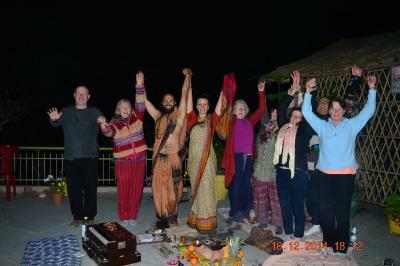 When would you like to stay at Rishikesh Sadan A Yoga & Spritual Retreat? Rooms come with a fan and heating facilities. They are fitted with tiled flooring, a seating area and an en suite bathroom. Free toiletries are provided for guests’ convenience. 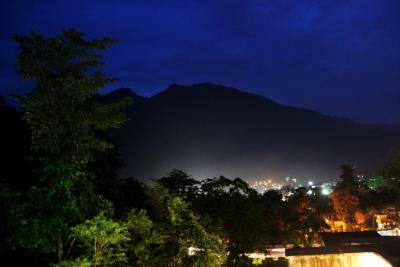 Spacious room has marble floors and includes a valley facing balcony. It features a seating Area. The attached bathroom has free toiletries. 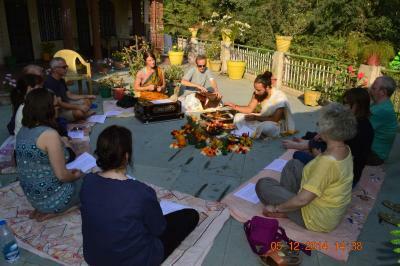 House rules Rishikesh Sadan A Yoga & Spritual Retreat takes special requests - add in the next step! All further older children or adults are charged INR 600 per night for extra beds. 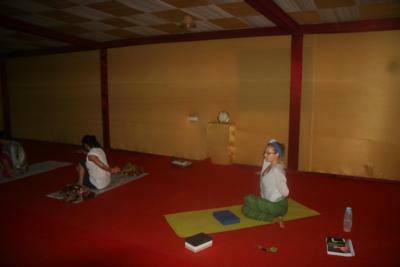 Rishikesh Sadan A Yoga &amp; Spritual Retreat accepts these cards and reserves the right to temporarily hold an amount prior to arrival. 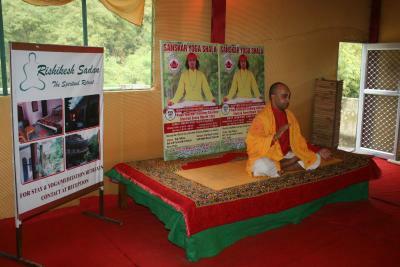 Rishikesh Sadan A Yoga & Spritual Retreat accepts these cards and reserves the right to temporarily hold an amount prior to arrival. 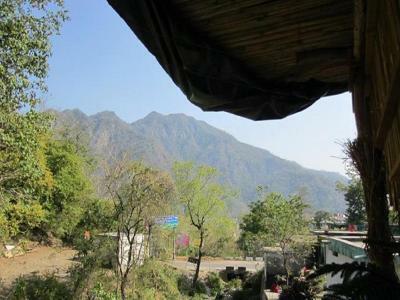 The property is a little north of Tapovan, so it is a 8 - 10 minute walk back down to the city facilities. This does not reflect on the hotel itself, more my knowledge of the area when booking. The mattresses for the bed were quite hard and after a few days became a little uncomfortable. Rooms are smelly and patchy walls. I would have liked laundry service. The state of the bed linens. The calm and the chance to do yoga and have massages.